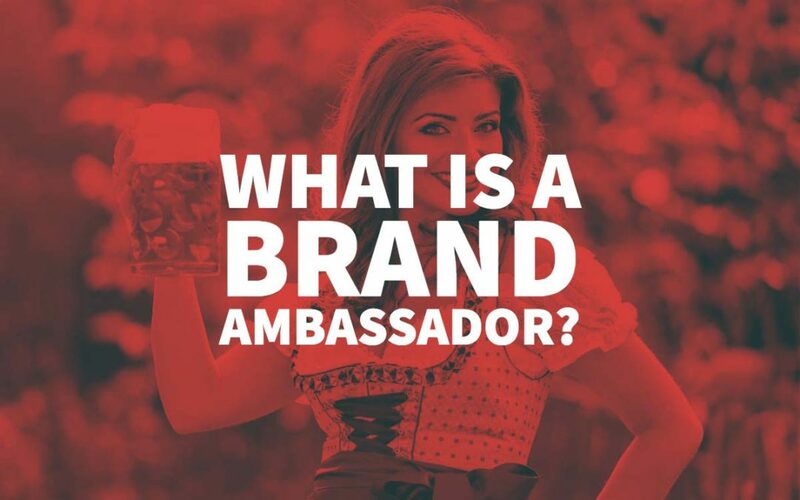 What is a Brand Ambassador and How can they Grow Your Business? Did you know that LinkedIn users who upload their photo receive 21 times more profile views than those who don’t? The same applies to brands – they need to adopt a familiar face that their consumers can relate to. Naturally, it has to be someone who shares the same core values as the brand and its audience, and they need to promote the company and present it in the best possible light. By having a celebrity from your industry or niche endorsing your brand, you’ll be able to expand your reach, improve your online and offline presence, and penetrate different markets. This move also adds a certain air of credibility to your brand and convinces your target audience that your quality and reputation is indisputable. Here are some benefits of picking the right brand ambassador and including them in your marketing campaigns. Back in 2016, Colin Kaepernick was a quarterback for the San Francisco 49ers, and he decided to do something that would eventually render him a free agent – before the start of every NFL game that season, he either sat or knelt on one knee instead of standing while the Star-Spangled Banner was being played. Kaepernick did as an act of protest against racial injustice and brutal police treatment of African Americans. His career spiralled downward, as his behaviour sparked much controversy, but he chose to stand up (or in his case sit down) for his beliefs. Two years later, still punished by the NFL and without a team, Kaepernick was featured in a Nike ad campaign. The sports giant used the disgraced athlete as the main face of their 30th-anniversary campaign. 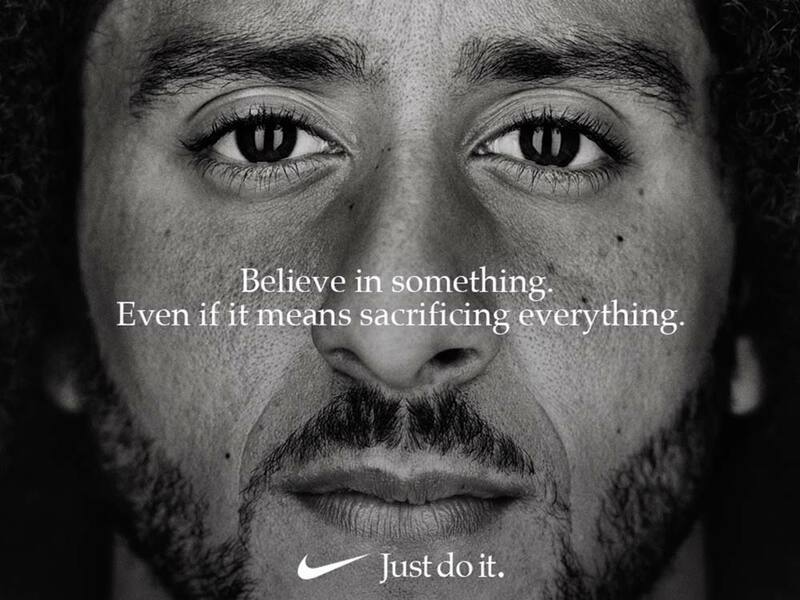 Needless to say that the advert captioned “Believe in something, even if it means sacrificing everything” caused a considerable backlash, while some people even burned their Nike products publicly. Is it possible that an iconic brand like Nike could make such a faux pas? Maybe this risky move seemed like a bad idea after the campaign faced angry reactions by some customers, but its genuine and sincere approach turned out to be incredibly relatable, and though controversial, Kaepernick’s story is entirely aligned with Nike’s bold and daring “Just do it” tagline. Days after the campaign was unveiled, Nike’s online revenue increased by 31%, while its market value surged by $6 billion. This is an excellent example of what a well-chosen brand ambassador can do for a business, and though Nike isn’t just your regular brand, it’s clear that it struck the right chord with its audience and attracted many new customers by picking the right face to embody everything that the company stands for. Instead of playing it safe by opting for generic and bland messaging which wouldn’t step on anyone’s toes, Nike chose to stick up for what they believe in, and their campaign illustrates that and achieves a perfect marriage of subject, form, and content. People don’t like interacting with faceless brands which don’t have a character, so even if you can’t afford to pick a big star that everybody knows about, make sure that your brand ambassador is someone who incarnates the values of your company in the right way. It’s always better to go for a micro-influencer in your niche as they usually have small but devoted and highly loyal following. This means that even if your budget is tight, you can still give a familiar face to your business without having to break the bank. When you’re running a small brand, it’s essential to get your message through to as many potential customers as possible. Of course, social media is one way to do it, but given that many marketers think that organic reach is practically on its deathbed, you need to resort to paid ads. However, no matter how precisely you target your audience with Facebook Ads or remarketing strategies, you still need a little boost from someone with a powerful voice. That’s where a household name comes in to back up your efforts and put in a good word for your business with their vast audience. The impact of this tactic can be best shown in a recent example which involved Kylie Jenner and Snapchat. Namely, the reality star was somewhat of an unofficial brand ambassador of the popular IM platform. However, in February 2018, a single Jenner’s tweet reading “sooo does anyone else not open Snapchat anymore? Or is it just me…ugh this is so sad [sic]” tanked Snapchat’s market value by a whopping $1.3 billion. This message went off like a bomb and her impressive 25 million people following took a cue and Snapchat, which was already under fire about a recent redesign, was deemed uncool. This incident speaks volumes about the power of brand ambassadors and their influence over a target audience, so to make the most of this tactic, identify an established influencer who boasts a vast professional network in their industry. This will allow you to steal some of their thunder, and benefit from their reputation in a positive way. However, just like with any other marketing effort, it’s crucial to keep track of your metrics, so make sure to pick the right tools and monitor how well your strategies are performing. Content is still on the throne when it comes to digital marketing strategies, and your website is, hopefully, packed with relevant blog posts and articles. However, producing useful content which your audience could greatly benefit from isn’t the only parameter responsible for the success of your content marketing strategy. If you’re not using an effective SEO strategy, you can kiss a steady stream of visitors goodbye. It’s tough for your target audience to find you if you’re not standing out from the rest of the results in the SERPs, and SEO can help you show them the way. Backlinking is one of the most critical elements of this strategy, and it basically means that if authority websites’ links point to your site, your rankings will significantly improve. This blog post from a New York SEO company Four Dots provides a detailed guide on how it works. The emphasis is put on the authority part of the equation because you won’t see any improvement if hundreds of shady, no-name sources link back to your content. Quite the opposite – you can even experience a drop in traffic and a tarnished reputation. Moreover, by adding a brand ambassador to this mixture will give the whole tactic an additional boost. Namely, if your brand ambassador’s own website has a high domain authority, it will in a way vouch for your content and signal to Google that your blog posts are relevant and helpful. So, besides promoting your website and directly sending you traffic by including links to your site in their content, brand ambassadors also increase your digital reputation with search engines and help you climb the Google rankings. Brands make mistakes that can seriously affect their reputation. The Twittersphere still remembers the infamous American Apparel incident, when the company tried to capitalise on Hurricane Sandy, aka the deadliest hurricane in 2012 which killed 117 people and inflicted almost $70 billion in damages. The clothing retailer sent out an email with a 20% discount code and a message inviting customers from the afflicted areas to engage in shopping if they’re bored during the storm. Needless to say, people were furious. Dove, a popular personal care brand, has had its fair share of blunders and the most recent one took the concept of whitewashing to the next level. Their commercial showed a black woman taking off her shirt and turning into a white woman, supposedly after using their body lotion. Such mistakes happen even to the best, and it’s essential to have a crisis strategy in place. One of the most effective ways to make amends with your audience (and the general public) after a marketing disaster is by apologising sincerely and having a brand ambassador who will stand by you in such dire times. However, small brands rarely experiment, meaning that they don’t commonly generate controversies. But, bad comments and negative brand publicity are the issues they frequently encounter. That’s when brand ambassadors can step in and put the fire out. Generally speaking, they can do wonders for your brand by providing positive word-of-mouth. That’s why you should also recruit your employees and turn them into your loyal brand ambassadors. For this cost-effective tactic to work, you need to ensure that your employees understand your vision and values. Since it’s only logical that your marketing and sales reps have a particular bias towards your products, not to mention that they subconsciously adopted a particular sales pitch, their attempts won’t be perceived as genuine as consumers can sense a staged approach. That’s why you need to turn to employees from other departments as they will be able to speak from a more authentic perspective. Hiring a brand ambassador might seem like an unnecessary expense for a small brand, but it’s actually an investment that will ultimately pay off.